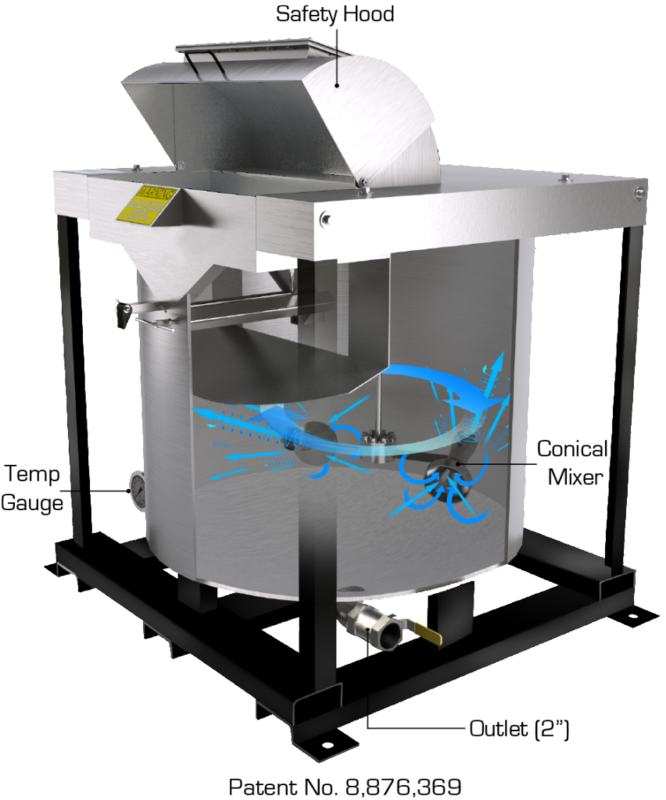 The SAFECHEM Mixing Tank features safety first, with a hinged closed hood and sight glass. The bags are placed on a conveyer to slide them across a bag slitter that opens the bags without product loss. Bag slitters are available with a manual star slitter or pneumatic style slitter. The SAFECHEM Mixing Tank features a Conical Induction Agitator that will quickly dissolve caustic soda and dispense other powdered additives. The Conical Induction Mixer is in a class of its own. The two mixing elements perform on the Airfoil/Bernoulli Principle “when velocity is high, pressure is low; inversely, when pressure is high, velocity is low”. As the Conical Induction Mixing Elements rotate around a center axis, the liquid or slurry is drawn into each lone element. The velocity increases as it passes through the Cone Venturi, generating a high velocity that produces a low pressure in the surrounding liquid. 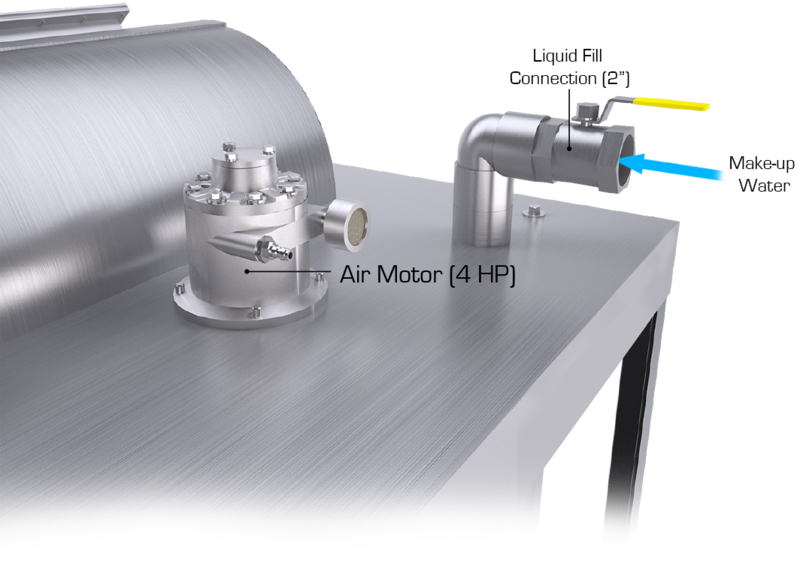 The generated low pressure region introduces more liquid through the Cone Mixing Elements. The Venturi effect in high viscosity slurries translates into a reduction in horsepower requirement. Fig. 2 Shows the 4 HP GAST Air Motor and liquid fill connection. Please click on the corresponding links below to access a PDF file of our SAFECHEM Mixing Tank Brochures.